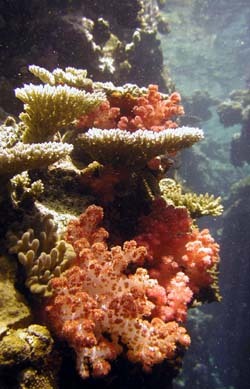 Fiji is one of the world's top dive destinations. Known for its impressive growth of soft coral that adorn vertical walls, mouths of caves and over-hangs, the multitude of colors is a diver and photographer's dreamland. 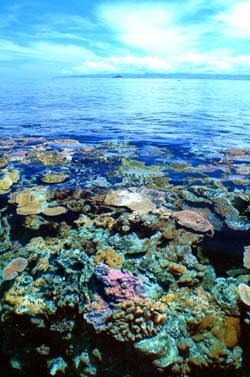 Warm, clear and abundant with marine life, the Fijian Islands is a must for the serious diver or photographer. With over 300 islands including the three largest islands of Viti Levu, Vanua Levu and Taveuni, the choose of dive locations is extensive. 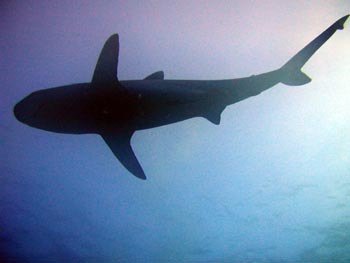 The more than 50 dive operators scattered across the Fiji Islands range from small operators working with one or more resorts to facilities at major hotels. Fiji provides a wide ranges of diving experiences, land excursions and tropical environments for serious divers and families alike. 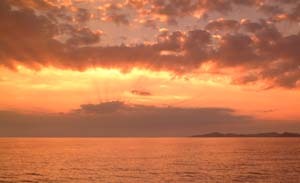 While some resorts are situated near the best dive sites, many require a fast boat and up to an hour ride in each direction. Dive operators vary from personal small boats to large specially designed dive boats. 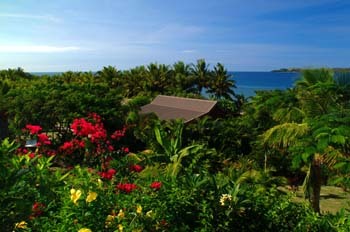 It is a premiere location to enjoy the excitement of the tropics while diving the best of the South Pacific. This is our third dive and destination guide and in creating this on-line interactive guide, we have expanded our efforts to bring you extensive field reports and a large collection of photography. We personally reviewed ten different dive destinations (resorts and dive operators) and although there are some we missed, we bring you what we consider to be the best Fiji has to offer. The dive guide took over two years to be developed. All stories and photography are a collaboration between Robert Aston and Lynn Jaye from our editorial staff. With over a hundred pages of informative reviews, facts and photographs, the Fiji Dive and Destination Guide is a valuable resource for serious remote dive adventurers.